Fertiliser company Incitec Pivot will not be rushed into making a takeover bid for explosives manufacturer Dyno Nobel, despite the target company shelving costly expansion plans and releasing forecasts for a cost-cutting program to boost annual pre-tax earnings by $61 million. Dyno, in which Incitec has a 13 per cent stake, said yesterday that it expected its "Project Imagine" cost-saving program to add $US52 million ($61 million) in earnings before interest, tax, depreciation and amortisation by the end of 2010. The announcement followed last week's shock cancellation of Dyno's Moranbah ammonium nitrate project in Queensland because of soaring costs - a move that was seen as leaving the company ripe for takeover. But Incitec Pivot chief executive Julian Segal indicated that he was in no rush to proceed with an offer. "We are really working through the ramifications of the Moranbah announcement and the information that we've got now regarding Project Imagine," he said after Incitec's annual general meeting in Melbourne. "We're very thorough, so it's too early for us to say." Mr Segal said Incitec bought into Dyno "because we thought it was a wise investment, and clearly now with the situation as it has developed, like any other major shareholder, we want to work out what the implications are from Moranbah and Project Imagine". He declined to comment on the decline in Dyno's share price, which fell 1c yesterday to $2.06, well short of the $2.35 Incitec paid for its shares in August. A spokesman for Dyno said there had been no contact between the companies at either board or management level. Mr Segal said the price of di-ammonium phosphate fertiliser, which had risen by 20 per cent since the start of November, was indicative of a step-change in demand as global dietary habits changed in line with increasing wealth. "The increasing population and the demand for more food ... and complex proteins such as chicken, beef and pork means a significant increase in demand for feed," as well as higher demand for cotton and biofuels, he said. "I can't see in the short and medium term any change in this demand, and on the supply side there's isn't a huge pipeline of new projects coming up. You are not going to see the price of fertiliser going back to what it was a few years ago. I think this is a new sustainable level." 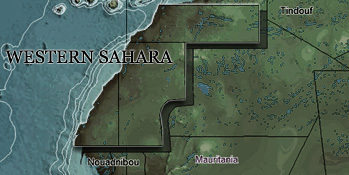 Earlier, chairman John Watson prefaced his address to shareholders with a justification of the company's continued sourcing of phosphate rock from the disputed African territory of Western Sahara, which had prompted a small protest outside the meeting. "The group protesting here today is urging all Australian producers to cease using this raw material. "If producers were to do this, there would be significant consequences for Australian farmers who rely on superphosphate, " he said. "Without rock from the Western Sahara, it is unlikely that Australian manufacturers could produce the 1 million tonnes of superphosphate farmers require each year to maintain productivity and international competitiveness. "